I have an exciting new product to share with you! Ninja, the company known for their variety of blenders has changed home brewed coffee as you know it. Introducing The Ninja Coffee Bar. Both my husband and I are avid coffee drinkers and have no shortage of coffee and espresso machines in our house. When Ninja asked me to review their latest device, I gladly accepted and the end result was: I retired 2 of my coffee machines to make a permanent home for this bad boy. 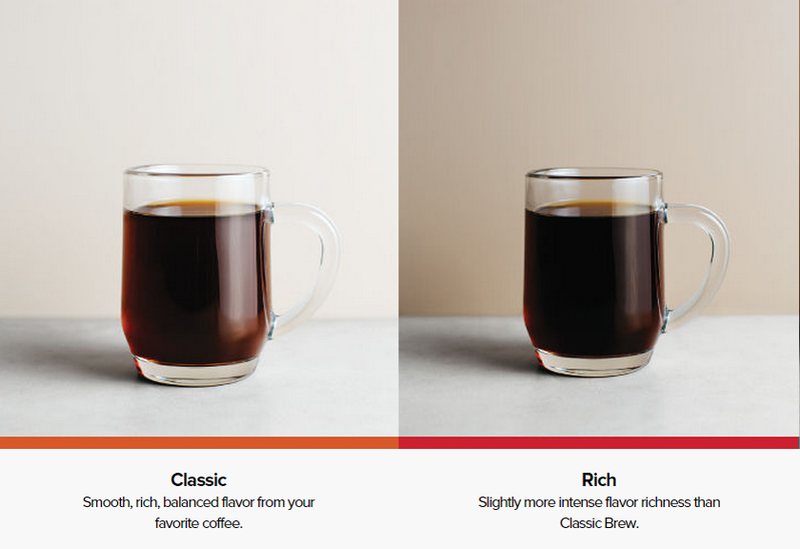 The Ninja Coffee Bar allows you to make barista approved coffee at the convenience of your home with a technology called Thermal Flavor Extraction which delivers a better, richer tasting coffee with variable richness levels. Each selection precisely calibrates the right flavor, richness, and strength for the beverage you want to make. Specialty Brew: The strongest option at 3x concentrated that is perfect for cappuccino, latte and flat white. Also ideal for blended drinks. 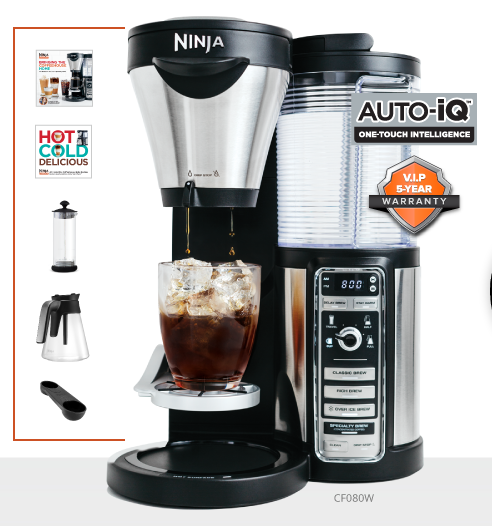 As seen on the newer Ninja Blenders, the Ninja Coffee Bar has the Auto-iQ technology. At the touch of one button, you select the size (a cup, travel mug, half carafe, full carafe) and the machine draws the right amount of water needed from it's reservoir. I can set the machine overnight to make a full carafe of coffee or select a single cup for a cappuccino when I wake up. This is an all in one machine that has a variety of options for every kind of coffee drinker. The only negative thing about this machine is I will likely end up losing my gold status at Starbucks. Sofia Vergara partnered up with Ninja and she talks about her journey to recapture the smooth, rich flavor of the coffee she grew up enjoying in Colombia. Check out the video below to how the Ninja Coffee Bar™ has helped her do just that. Just curious, what brand and type of grounds did you use for this machine? I've had the keurig Rivo and I'm thinking about replacing it because you can only use their Lavazza pods. It doesn't look like true espresso but if it makes great lattes and macchiatos I might give it a try. Hi Kimberly, we also have the Rivo and as much as we love it, we have the same issue of only finding the pods at Bed Bath Beyond or Amazon. This machine takes ground coffee and you're able to condense it (not sure if that's the correct term) and make "espresso" out of it. It's very strong and similar to espresso. It takes some practice getting the right brew but we are very impressed with this machine. 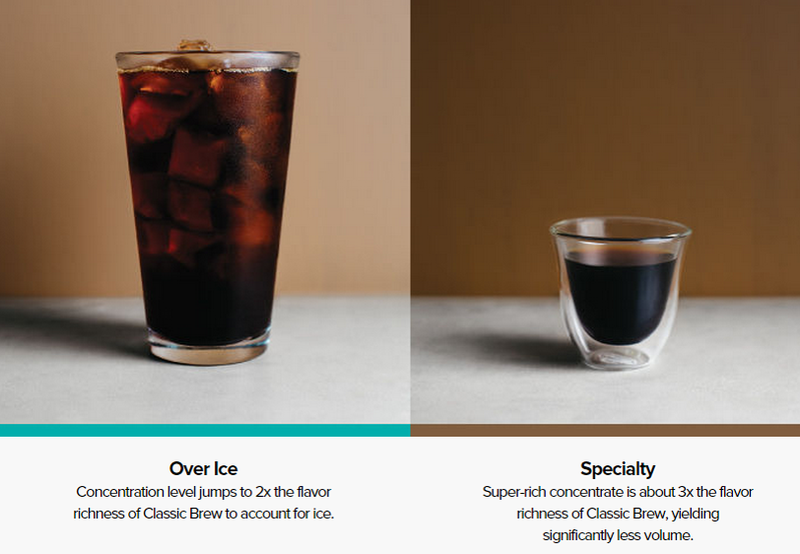 Also if you like iced coffee, this makes an excellent one.